Dres is back to represent the legendary group Black Sheep with "Forever Luvlee," the first single from his forthcoming EP, From The Black Pool Of Genius: The Prelude. The song showcases Dres' unmistakable flow, proving, yet again, that although he is one of hip-hop's originators he has yet to loose a step. Different from some of Black Sheep's earlier records, this track has a distinct smoothness that represents growth and maturity in production and recording. The title would have the listener thinking it is a hip-hop love ballad, but the track is far from it. When asked what the message behind the song was Dres had this to say, "Don't put things before people, keep God in your heart always (whatever you call him). Try to find balance in these chaotic days - be Luvlee." 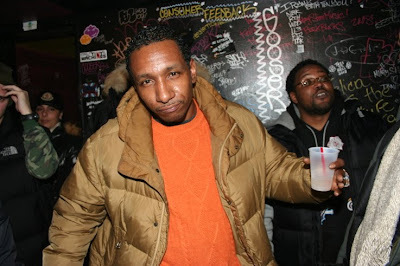 The lyrics speak to Dres's "essence of his presence" staying "Forever Luvlee" in a world of ice and bubbly. The lyrics are clever and ironic and let the listener know that regardless of the success he has experienced, it hasn't changed who he is, as he raps, "I like hot sauce on all I eat, my Kool-Aid too sweet... " The EP From the Black Pool of Genius: The Prelude will be released December 1st, followed by a full-length album release scheduled for spring 2010. Download: Black Sheep - "Forever Luvlee"